Help Find maura murray | On 02/09/04, Maura Murray crashed her car in NH & was never seen again. Can YOU help solve her case? 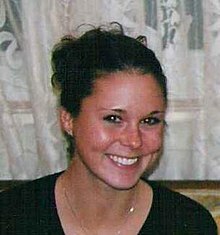 On 02/09/04, Maura Murray crashed her car in NH & was never seen again. Can YOU help solve her case? Maura Murray: Missing Since 02/09/04 – Haverhill, NH. Welcome to Help Find Maura Murray. Below we will include details of Maura’s sudden disappearance , via her Wikipedia page. There has been a sudden interest in Maura’s case thanks to a resurgence in media attention. It appears Maura’s case has gone cold, and it is my firm belief that, with the help of the public, the missing puzzle pieces can be put together to bring an answer to what happened to Maura. There are many articles that discuss Maura Murray and her disappearance, but more needs to be done. Many people have expressed interest in coming out from behind the computer and actually doing something to help find answers, or at the very least, rule OUT possibilities, such as organizing search parties when the NH weather warms. I am planning on working on this website and with locals to organize on the ground search efforts for things like missing items that have never been recovered (Maura’s personal belongings and things she had with her that were not left in the car, from a possible backpack and clothing, to bottles). If we can get decent sized groups together to search public property, this could help. I’d also like to post blogs about theories, background, etc. It would be great if this could be a group effort, so if you are interested in helping to run the site, write a blog post, a fact post, etc…please let me know. I have heard a bit of a former website by a similar title that is no longer active. Not Without Peril is the name of the book that was Maura’s favorite, and a fitting title to everyone who helps to try to solve this mystery and help the family and Maura. This is temp. place holder. Please check back, and let me know if you would like to help or have ideas. Thanks. Twelve years have passed since her disappearance and her fate still remains a mystery. New Hampshire authorities continue to handle Murray’s disappearance as a missing persons case. Maura’s disappearance is considered by many to be the most eerie and strange disappearance of modern times. In November 2003, three months before her disappearance, Maura was arrested for using a stolen credit card. The charge was continued in December to be dismissedafter three months’ good behavior. Sunday morning, Fred Murray determined the auto damage was covered by his insurance. He rented a car, dropped Maura off at the university, and departed forConnecticut. At 11:30 pm that evening, Fred phoned Maura reminding her to obtain the forms pertaining to the accident on Monday from the Registry of Motor Vehicles. They agreed to talk again Monday night to discuss the forms and together fill out the insurance claim over the phone. Around midnight, Monday, February 9, shortly after speaking with her father, Maura used her personal computer to search MapQuest for directions to The Berkshiresand Burlington, Vermont. In her car she packed clothing, toiletries, and college textbooks. When her room was searched later, campus police discovered most of her belongings packed in boxes and the art removed from the walls. It is disputed whether she packed them that day or if they were merely still packed from her recent return from winter break.Around 3:30 pm, she drove off the campus in her black Saturn sedan. At 3:40 pm Maura withdrew $280 from an ATM. Closed-circuit footage indicates she was alone. This withdrawal nearly emptied her bank account although she was due to receive paychecks in the coming days. At a nearby liquor store she purchased about $40 worth of alcoholic beverages, including Baileys Irish Cream, Kahlúa,vodka, and a box of Franzia wine. Footage also shows she was alone when she made that purchase. At some point in the day she obtained Registry of Motor Vehicle accident report forms, as they were later found in her car. At 7:46 pm, a Haverhill police officer arrived at the scene. No one was inside or around the car. The car’s windshield was cracked on the driver’s side and both airbags had deployed. The car was locked. Inside and outside the car he discovered red stains that looked to be red wine. The officer found a damaged box of Franzia wine on the rear seat. In addition, he found an AAA card issued to Maura Murray, blank crash report forms, gloves, compact discs, makeup, two sets of MapQuest driving directions (one to Burlington, Vermont, another to Stowe, Vermont), Maura’s favorite stuffed animal, and Not Without Peril, a book about mountain climbing in theWhite Mountains. Missing were Maura’s debit card, credit cards, and cell phone, none of which have been located or used since her disappearance. Woodsville, where Maura’s car was found, and places she may have been headed. The following day, February 10, a BOLO (Be On the LookOut) for Maura Murray was issued at 12:36 pm to Grafton County, Littleton,Haverhill, and Lisbon. A voice mail was left on Maura’s father’s home answering machine at 3:20 pm stating that the car was found abandoned. He was working out of state and did not receive this call until later in the day. At 5:00 pm, Maura’s older sister contacted her father to tell him that Maura’s car had been found abandoned. He contacted the Haverhill Police Department and was told that if Maura was not reported safe by the following morning, the New Hampshire Fish and Game Department would start a search. Maura’s family members contacted the University of Massachusetts Police Department at 6:46 pm, and requested that her dormitory room be checked. Maura’s father and her boyfriend held an evening press conference in Bethlehem, New Hampshire, on February 12, and the next day the first press coverage was published. The Haverhill police chief said, “Our concern is that she’s upset or suicidal.”Maura’s father and boyfriend were interviewed by CNN’s American Morning a week after her disappearance. Maura’s family expanded their search into Vermont. Although missing person cases are normally handled by local and state police, the FBI joined the investigation ten days after she disappeared. The FBI interviewed some of Maura’s friends and family from Massachusetts, and the Haverhill police chief disclosed that the search for Maura was now nationwide. Ten days after her disappearance, New Hampshire Fish and Game conducted a second ground and air search, using a helicopter with a thermal imaging camera, tracking dogs and cadaver dogs.Maura’s older sister discovered a ripped white pair of women’s underwear lying in the snow on a secluded trail near French Pond Road on February 26, but DNA tests found that the underwear did not belong to Maura. At the end of February, the police returned the items found in Maura’s car to her family, and on March 2 Maura’s siblings checked out of their motel, exhausted from the search, her father also checking out after three weeks of searching, returning nearly every weekend. In April, Haverhill Police informed him of complaints of trespassing on private property. In May, based on a tip, New Hampshire Fish and Game conducted a ground search near where a young person was seen running the night of Maura’s disappearance, but no scent or leads were reported from the search. Her father petitioned New Hampshire GovernorCraig Benson for help in the search. and appeared on The Montel Williams Show in November 2004 to publicize the case. ^ Jump up to:a b “Maura Murray”. New Hampshire Department of Safety. Retrieved May 25,2011. ^ Jump up to:a b c d e f g h i j Conway, Maribeth (June 21, 2007). “MAURA IS MISSING PART I: The Departure”. Hanson Express 6 (25). Archived from the original on December 1, 2010. Jump up^ Associated Press (April 4, 2004). “Parents push search for student”. Boston Globe. Retrieved September 26, 2009. ^ Jump up to:a b Associated Press (February 8, 2009). “Five years later, case frustrates family”. Boston Globe. Retrieved September 26, 2009. Jump up^ “New developments in search for missing UMass student”. The Massachusetts Daily Collegian. January 31, 2006. Retrieved March 18, 2014. ^ Jump up to:a b Schiavone, Christian (February 8, 2014). “Search for Hanson woman missing since 2004 continues”. The Enterprise. Retrieved March 18, 2014. ^ Jump up to:a b Hamel, Heather (February 5, 2014). “10 years later, mystery of Maura Murray persists”. WCVB. Retrieved March 24, 2014. ^ Jump up to:a b c d e f McGrory, Brian (March 2, 2004). “Where could Maura be?”. Boston Globe. Retrieved September 26, 2009. ^ Jump up to:a b c d e f g h i j k Jensen, Bill (February 2014). “Will the Internet Find Maura Murray?”. Boston. Retrieved March 18, 2014. Jump up^ DeMarco, Peter (February 21, 2004). “Map clue spurs search for student in Vermont”. Boston Globe. Retrieved September 26, 2009. Jump up^ “Missing student’s parents angry over police investigation”. The Massachusetts Daily Collegian. January 26, 2005. Retrieved March 18, 2014. Jump up^ “Missing student a mystery to police, classmates”. The Massachusetts Daily Collegian. February 17, 2004. Retrieved March 18, 2014. ^ Jump up to:a b c d e f g h i j k Conway, Maribeth (June 27, 2007). “MAURA IS MISSING PART II: The Accident”. Hanson Express 6 (26). Archived from the original on February 17, 2010. ^ Jump up to:a b Blackman, Jeremy (March 31, 2013). “A decade lost and the spotlight gone, a father searches for his daughter”. Concord Monitor. Retrieved March 24, 2014. ^ Jump up to:a b c Hunter, Donna (21 September 2009). “Vanished: Two Coeds, Two Horrifying Mysteries, One Finally Solved”. pp. ABC News. Retrieved September 26, 2009. ^ Jump up to:a b c DeMarco, Peter (February 15, 2004). “A student vanishes, and questions mount”. Boston Globe. Retrieved September 26, 2009. ^ Jump up to:a b c d e Conway, Maribeth (July 12, 2007). “MAURA IS MISSING PART IV: The Aftermath”. Hanson Express 6 (28). Archived from the original on December 1, 2010. Jump up^ Abel, David (May 7, 2004). “New lead is reported in search for student”. Boston Globe. Retrieved September 26, 2009. Jump up^ Rosinski, Jennifer (May 7, 2004). “New lead gives hope to missing girl’s kin”.Boston Herald. Retrieved September 26, 2009. Jump up^ “Did Maura make the mysterious phone call?”, “Whitman & Hanson Express”, July 3, 2007. Jump up^ Associated Press.“Hanson Woman, 21, Missing After Crash”, The Boston Globe, February 14, 2004. Jump up^ Conway, Maribeth (July 5, 2007). “MAURA IS MISSING PART III: The Search”.Hanson Express 6 (27). Jump up^ “Mass. woman missing after N.H. car crash”. Boston Herald. February 13, 2004. Retrieved September 26, 2009. Jump up^ O’Brien, Soledad (February 17, 2004). “Mystery Disappearance”. American Morning (CNN). Retrieved September 26, 2009. Jump up^ DeMarco, Peter (February 20, 2004). “With no new leads, FBI joins search for missing student”. Boston Globe. Retrieved September 26, 2009. ^ Jump up to:a b Lindsley, Gary E. “Fred Murray Appeals to Governor Benson”, “Caledonian-Record“, May 26, 2004. Jump up^ Lindsley, Gary E. “Police Chasing Regionwide Leads”, Caledonian-Record, February 18, 2004. Jump up^ McGrory, Brian (February 27, 2004). “Footprints in the snow”. Boston Globe. Retrieved September 26, 2009. Jump up^ Lindsley, Gary E. “Relatives May Have Found a Clue”, Caledonian-Record, February 28, 2004. Jump up^ Szaniszlo, Marie (March 2, 2004). “Missing woman’s sister finds underwear near crash site”. Boston Herald. Jump up^ Lindsley, Gary E. “Potential Evidence Discounted”, Caledonian-Record, March 24, 2004. Jump up^ Lindsley, Gary E. “Family, Friends Warned About Trespassing”, Caledonian-Record, April 14, 2004. Jump up^ Lindsley, Gary E. “Residents Dispute Claims They Want Trespassers Arrested”,Caledonian-Record, April 20, 2004. Jump up^ Murray, F. J. “Fred’s Letters to Governors”. Retrieved May 26, 2009. Jump up^ Szaniszlo, Marie (February 10, 2005). “Mass. dad asks N.H. gov for help finding daughter”. Boston Herald. Retrieved September 26, 2009. ^ Jump up to:a b West, Nancy (October 28, 2007). “Missing Maura Murray – Four years and countless questions”. New Hampshire Union Leader. Retrieved September 26,2009. Jump up^ Chase, Stacey (February 3, 2008). “Return to me”. Boston Globe Sunday Magazine. Retrieved September 26, 2009. Jump up^ Heslam, Jessica (May 6, 2004). “Families of missing women want cops to search for link”. Boston Herald. Retrieved September 26, 2009. Jump up^ Nichols, Russell (January 29, 2006). “Father seeks data on a lost daughter”.Boston Globe. Retrieved September 26, 2009. Jump up^ “The Lineup”. Fox News. January 13, 2006. Retrieved September 26, 2009. Jump up^ Fargan, Jessica (January 4, 2006). “PIs working for free to find UMass Student”.Boston Herald. Retrieved September 26, 2009. Jump up^ “Private Investigators Renew Search for Missing Woman”. The Boston Channel. January 4, 2006. Retrieved September 26, 2009. Jump up^ Associated Press (August 7, 2007). “Group helps search for missing student”.Boston Globe. Retrieved September 26, 2009. Jump up^ “Vanished: Missing Co-eds”. 20/20. MSN. July 15, 2009. RetrievedSeptember 26, 2009. Jump up^ Mikkilineni, Rupa (December 9, 2008). “Vermont teen vanishes on way home from work”. Retrieved March 19, 2014. Jump up^ “Miles to Nowhere”. Disappeared. Season 1. Investigation Discovery. Jump up^ “Vanishing In Vermont”. Disappeared. Season 4. Investigation Discovery. Jump up^ Kimble, James A. (May 1, 2009). “NH may get cold case unit”. The Eagle Tribune. Retrieved September 26, 2009. Jump up^ “Maura Murray”. New Hampshire Department of Justice Cold Case Unit. Retrieved March 19, 2014.